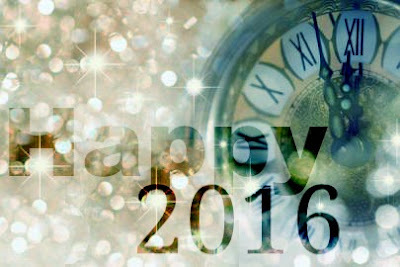 From us to all of you, we'd like to wish you a wonderful 2016. May you and your loved ones have a memorable year filled with good health, laughter and great books! Synopsis: The first thing you’re going to want to know about me is: Am I a boy, or am I a girl? 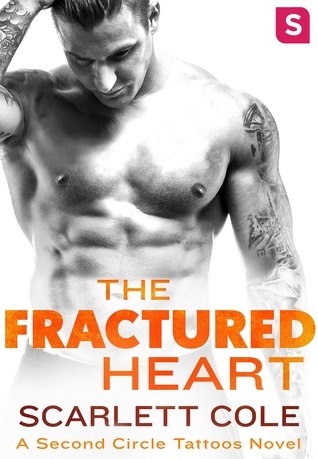 Synopsis: Dan Garrett has become exactly what he hates—popular. Until recently, he was just another live-action role-playing (LARP) geek on the lowest run of the social ladder. Cue a massive growth spurt and an uncanny skill at taking three-point shots in basketball and voila…Mr. Popular. It’s definitely weird. And the biggest drawback? Going from high school zero to basketball hero cost Dan the secret girl-of-his-dorky dreams. A tuba-playing nerd with an eclectic fashion sense, Zelda Potts’s “Coolness” stat is about minus forty-two. 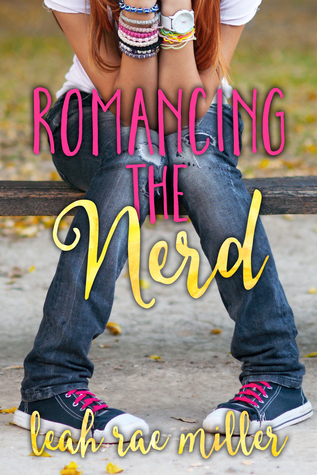 Dan turning his back on her and the rest of nerd-dom was brutal enough, but when he humiliates her at school, Zelda decides it’s time for a little revenge—dork style. Nevermind that she used to have a crush on him. Nevermind that her plan could backfire big time. It’s time to roll the dice…and hope like freakin’ hell she doesn’t lose her heart in the process. Eighteen-year-old Alexa Belarose lives in a world overpowered by immortality and beauty. Humans are hunted by The Grim, and their body parts are sold to The Soulless to preserve immortality and perfection. Alexa has survived for years by living in solitude, but during a search for food, The Grim capture her, then mysteriously let her go. 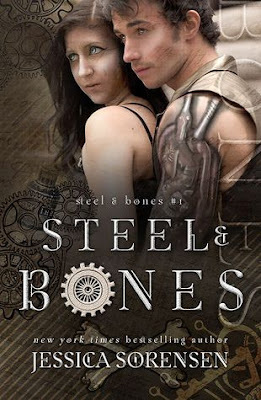 The Greysteles find Alexa on the verge of death and take her to the city of steel and bones to be healed. Half human, half machine, the Greysteles are considered unwanted by The Soulless and the city is part of the safe grounds. While living in the city, Alexa discovers life isn’t just about being hunted. She becomes drawn to two friends; Everett who’s moody and mysterious, yet in rare moments charming, and Ollie who’s witty and down to earth, yet seems to be hiding something from Alexa. But when The Grim unexpectedly enter the city, Alexa learns The Soulless have put a bounty on her and a choice must be made. Her freedom. Or the lives of the people she loves. It’s a fact that book lovers know all about the covers of the books they covet. Often when a title is released here in the US, it’s sometimes vastly different across the pond in the US. So, Michelle from Much Loved Books and I have come together to create Book Wars to talk about the difference in covers when it comes to the US vs. UK versions. We hope from time to time authors will chime in with their thoughts as well. We welcome everyone to comment and share their thoughts too! The more the merrier! Before we get to this weeks Book Wars, we have a winner to announce. The Book Wars winner for Clockwork Angel (The Infernal Devices #1) By: Cassandra Clare is..... ! Thank you to everyone who voted for both books, and for picking a winner. 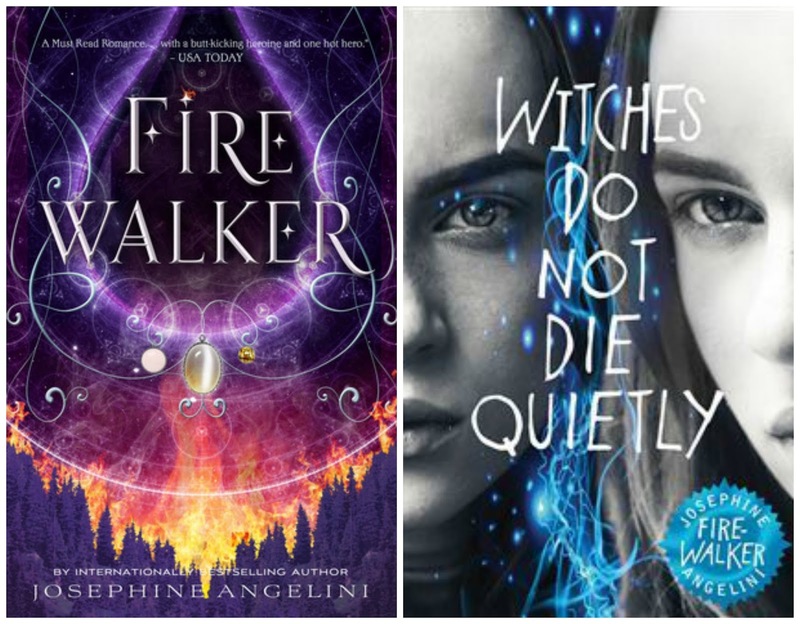 Synopsis: Worlds divide, magic slays, and love lies in the second book of Josephine Angelini’s The Worldwalker Trilogy. Josephine Angelini is a Massachusetts native and the youngest of eight siblings. 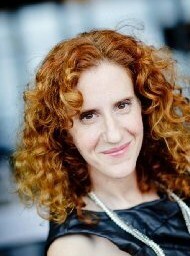 She graduated from New York University's Tisch School of the Arts in theater, with a focus on the classics. She now lives in Los Angeles with her husband. 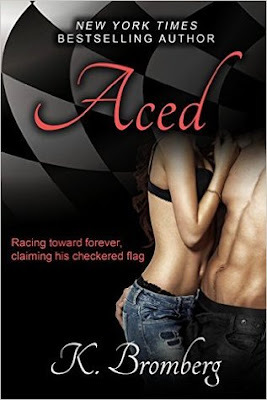 Lisa This week have another second book in a series. This time from the Worldwalker Trilogy from Josephine Angelini. One thing I have to say about the US covers vs the UK for these books is that the US cover has so much more depth to it. There's layers upon layers when you look at it. I feel like I see something new each and every time I look. I love how the colors build up from the bottom where the trees are. 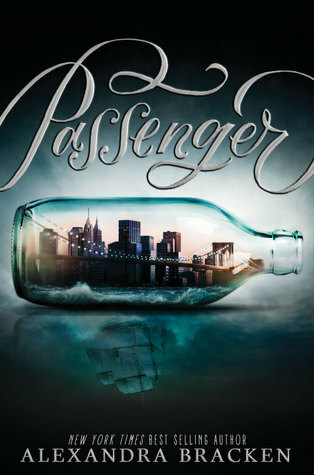 And while the UK cover is a bit on the artistic side, it just doesn't have the same affect as the US cover does. Sometimes it's nice to have a book without any models on the cover and this one more than works! So, it's a US vote for me this week. Now it's your turn, tell us which one gets your vote with a quick click below. Michelle I think this is the first time I have actively seen what the US cover is like. The UK one I have seen several times and it has stood out for me, especially when it's paired with the first book. Looking at these covers it's easy for me to see which is my favourite. I do like the UK cover, and as I mentioned it looks great next to the first book, the faces fitting together to make a whole one. However, I LOVE the US cover. The US cover looks magical, dramatic, and mysterious. 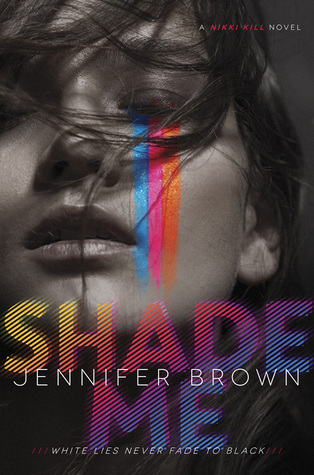 I love the whole effect of this, all the purples, reds, and yellows mixing together to make a breathtaking cover. The US covers gets my vote this week, which cover gets yours? VOTE for YOUR favorite cover of Firewalker (The Worldwalker Trilogy) NOW! 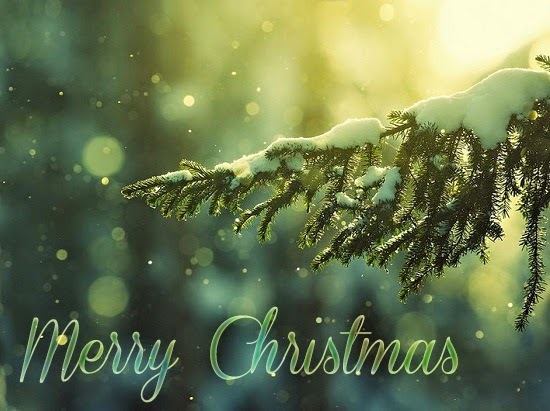 Wishing you and your families a very Merry Christmas and Happy Holidays to you all! This has been a crazy year for my family and I and we're really looking forward to see what 2016 brings. To our readers, new and old - thank you for taking the time out to read our posts. 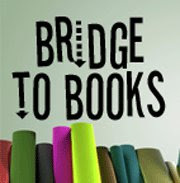 Having you there means a lot to us and we can't wait to share with you even more about the books and authors we love. And with 2016 will come a few changes. I'm looking to take a step back... just a bit from the blog to focus on my writing. I'll be looking for a couple more readers and book fans to contribute, so if you're interested please send me an email and lets talk! From us here at A Life Bound By Books, we wish you and your family a safe and happy Holiday season. If you're traveling, please be careful and take some time out to enjoy the little things during this busy time. Synopsis: The second book in a brand new series from New York Times and USA Today bestselling author Pepper Winters! 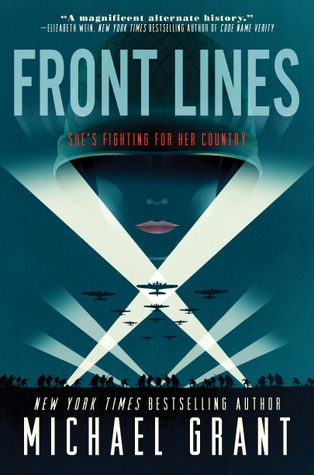 Synopsis: Perfect for fans of The Book Thief and Code Name Verity, New York Times bestselling author Michael Grant unleashes an epic, genre-bending, and transformative new series that reimagines World War II with girl soldiers fighting on the front lines. It’s a fact that book lovers know all about the covers of the books they covet. Often when a title is released here in the US, it’s sometimes vastly different across the pond in the UK. So, Michelle from Much Loved Books and I have come together to create Book Wars to talk about the difference in covers when it comes to the US vs. UK versions. Before we get to this weeks Book Wars, we have a winner to announce.The Book Wars winner for Just One Day By: Gayle Forman is...!!!!!! Thank you to everyone who voted for both books, and for picking a winner. Synopsis: What would you do to save someone you love? What about risking...everything? In Fire & Flood, Tella Holloway faced a dangerous trek through the jungle and a terrifying march across the desert, all to remain a Contender in the Brimstone Bleed for a chance at obtaining the Cure for her brother. She can't stop—and in Salt & Stone, Tella will have to face the unseen dangers of the ocean, the breathless cold of a mountain, and the twisted new rules in the race. But what if the danger is deeper than that? How do you know who to trust when everyone's keeping secrets? What do you do when the person you've relied on most suddenly isn't there for support? How do you weigh one life against another? The race is coming to an end, and Tella is running out of time, resources, and strength. At the beginning of the race there were 122 Contenders. As Tella and her remaining friends start the fourth and final part of the race, just forty-one are left...and only one can win. Victoria Scott's stunning thriller will leave readers' hearts racing! 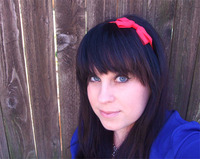 Victoria Scott is the author of TITANS (Scholastic, Spring 2016), the FIRE & FLOOD series (Scholastic), and the DANTE WALKER trilogy (Entangled Teen). Her latest novel, SALT & STONE, received a starred review by Kirkus Reviews, and the first book in the series, FIRE & FLOOD, has been nominated as a YALSA Teens' Top 10 book for 2015. 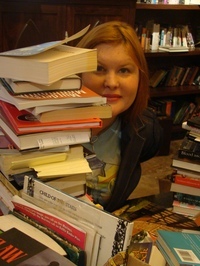 Victoria's novels have been bought and translated in eleven foreign markets, and she is represented by Sara Crowe. The author lives in Dallas, and loves cotton candy something fierce. Lisa Hands down, this weeks vote for me, goes to the UK cover. I just LOVE everything about it. I love the cracks and the feather and the colors... the only thing I think they should have made different was Victoria's name. I think she should have had her name a tad bigger, otherwise I MORE than love the UK cover. I think the main reason why the US cover is a bit off putting to me is the eye. I have a thing with eyes, they creep me out and the longer I look into this one the more it's starting to creep me out. 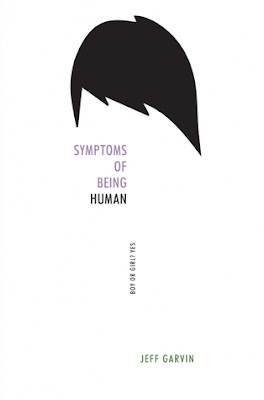 Otherwise I do really like the font used and the affects on the title of the book with this one. So the UK gets my cote this week, which one gets yours? Michelle When I first chose to pick these covers for our Book Wars post, I thought it would be an easy choice, but seeing them side by side it's not as easy as I thought it would be. I love the cover for the US version, I am obsessed with blue eyes, and this cover just draws my attention for that fact alone. I also like the added detail of the mountain in the bottom right. But the UK one also has the mysterious feather that still had it's relevance to be revealed (which I still don't know as I have yet to read this book). The UK cover also gives off a winter effect, with what looks like ice off to the side. After much deliberation, my vote goes to the UK cover. Snow and ice win over the blue eyes for me this week, I could quite happily live in this cover if that was at all possible. Don't forget to vote for your favourite cover below. VOTE for YOUR favorite cover of Salt & Stone by Victoria Scott NOW! Synopsis: Nikki Kill does not see the world like everyone else. In her eyes, happiness is pink, sadness is a mixture of brown and green, and lies are gray. Thanks to a rare phenomenon called synesthesia, Nikki’s senses overlap, in a way that both comforts and overwhelms her. Before we get to this weeks Book Wars, we have a winner to announce. The Book Wars winner for Clockwork Angel By: is..... ! Thank you to everyone who voted for both books, and for picking a winner. The first in a sweepingly romantic duet of novels. Willem’s story—Just One Year—is coming soon! 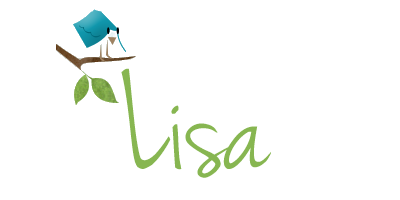 Lisa When I was looking for books to feature in Book Wars! and I saw the UK cover I knew without question that I'd want to give this cover a chance to shine. The US cover has always been great, however... I can't help but love the UK cover. I have a thing about the Eiffel Tower and the affects created for this over are just beautiful! I do love that they've carried the couple holding hands over so they're on both the US and UK covers... but I mean it's PARIS! So, no question my vote this week is being cast to the UK cover. Which one do you love? Give a quick click to cast your vote below. Michelle Oooooh, this is such a hard choice for me this week. This is the first time I am seeing both of these covers and I am really torn over which one I love the most. OK, after much deliberation I finally have my cover. Guys, this was so hard for me to choose today. I love the UK cover, I love the Eiffel tower, the trees, and the sunspot effect. The US cover though, I really like how it's come together. A lovely romantic picture of a couple holding hands walking down the street, the shadows of buildings alongside, and the hint of a sunset or sunrise ahead. For me, the US cover wins. I much prefer how this is a whole picture rather than a grid type effect like the UK cover has. Now, all I need to know is which cover gets your vote, and how easy or hard was it to pick? 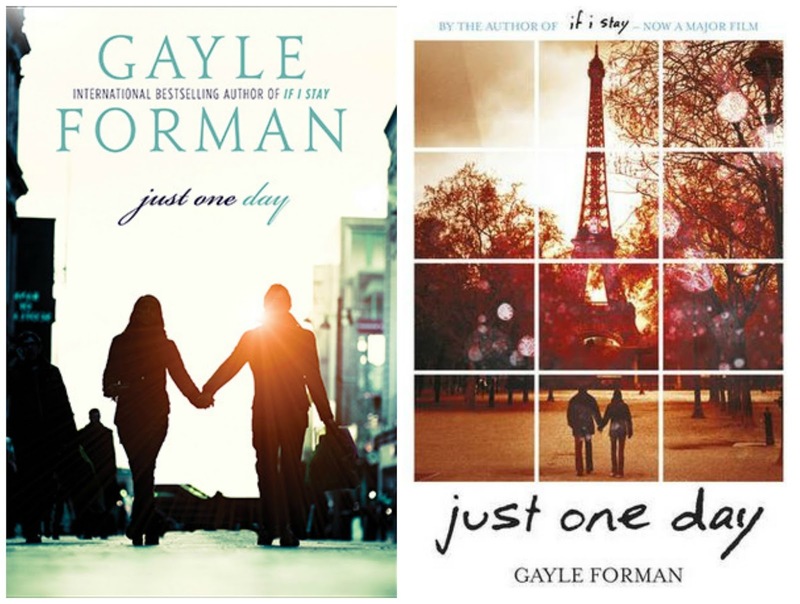 VOTE for YOUR favorite cover of Just One Day (Just One Day #1) NOW! 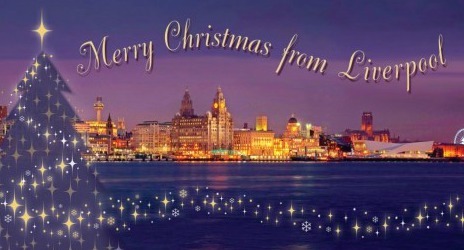 From Sunny Southern California to Rainy Liverpool, England! Boarding a plane to the UK is always super stressful for me. With my anxiety it makes it even more difficult. This long of a flight doesn't make it any easier, but I can't wait! I miss my second home and all my family and friends there. It's been over two long years and to say that I'm homesick for the island is an understatement. Tears will be shed, nerves will be a wreck and prayers for sleep during our first flight, the long haul flight will be a plenty. I'll see everyone on the other side and will post as soon as I can after we've arrived. It might just be something quick, but I plan to take a few days off, if not longer but I do have some post set up to go live so the blog won't be totally dark. Synopsis: In Calia Read’s electrifying sequel to her steamy, psychological suspense novel Unravel, a visit from a handsome stranger shatters a beautiful young woman’s vision of her picture-perfect past. Victoria can’t recall much of her life before she came to Fairfax Hospital, but she prefers it that way. She holds her beautiful baby daughter, Evelyn, every day and that’s enough…isn’t it? But when Evelyn is taken from her, Victoria’s world begins to fray at the seams. 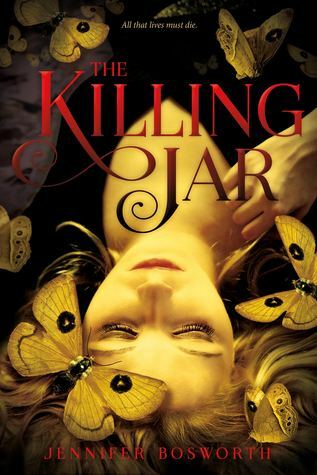 It becomes apparent to her that the hospital walls aren’t the only obstacles standing between her and the outside world—Victoria has constructed a hall of mirrors deep inside, every false image a distraction from the trauma of her past life. A white picket fence, a family on the way…yet something feels amiss in her memories of a happy marriage. When a handsome stranger begins visiting Victoria, pressing her to remember her past, she struggles to separate real memories from refracted images she has created, knowing at last that only the truth can set her free. Before we get to this weeks Book Wars, we have a winner to announce.The Book Wars winner for Every DayBy: David Levithan is...!!!!!! Thank you to everyone who voted for both books, and for picking a winner. Synopsis: When sixteen-year-old Tessa Gray arrives in England during the reign of Queen Victoria, something terrifying is waiting for her in London's Downworld, where vampires, warlocks and other supernatural folk stalk the gaslit streets. Friendless and hunted, Tessa weeks refuge with the Shadowhunters, a band of warriors dedicated to ridding the world of demons. Drawn even deeper into their world, she finds herself fascinated by - and torn between - two best friends and quickly realizes that love may be the most dangerous magic of all. Lisa This week is a bit different because the cover we have shown is the original US cover and the one I actually own, however the covers have since changed to the one shown above. I really like BOTH the US and what's shown as the UK cover! I used to think that the cover shown as the UK version was so dramatic however the new US cover is pretty amazing! I like that it just so fits! I like how it's a bit brighter than the UK cover... and I also like that they've kept the images that are under the back ground to keep this in line with the original books. So, it's without a doubt that the vote for this week, even with how much I love my original cover... is the NEW US version. Michelle This is an easy week for me this week. The UK cover has been around for a while with various stages of font design, and although it's been published for a few years, I wanted to do this today to include the newly designed US covers. The UK cover is very nice, and under any other circumstances I would have chosen this as my favorite, especially with the London background, but the new covers for the US books are AMAZING. I am so in love with the US covers for this series. I love how it focuses on an different characters for each book. I love everything about the makeover for the US book, and I really need to have these sitting on my shelf. It's a very easy US win for me this week, but which cover gets your vote? VOTE for YOUR favorite cover of Clockwork Angel by Cassandra Clare NOW! 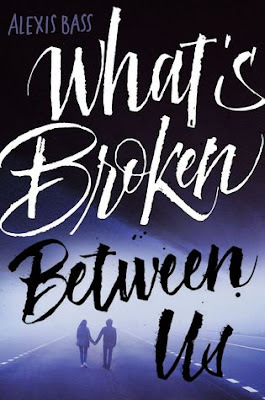 Synopsis: Alexis Bass’s heartbreakingly beautiful second novel is a tale of love, loss, and learning to forgive, perfect for fans of Gayle Forman and of Robyn Schneider's The Beginning of Everything. A year and a half ago, Amanda Tart's brother got behind the wheel drunk and killed his best friend. Today, he's coming home from prison. Amanda's been the one living with the fallout, made worse by her brother's recent unapologetic TV interview. People think he's a monster. Still, she loves him. It's her dark secret, until she starts getting close to Henry again--whose sister is paralyzed from the accident. A year and a half ago, her brother destroyed his life. Now Amanda has to decide if she'll let his choice destroy hers. Synopsis: All things, when placed under pressure, eventually break or leave a mark. 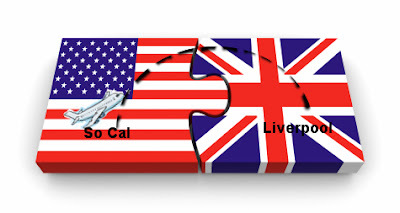 I just wanted to take a minute to write up a quick post and let you all know, with my husband and I getting ready for our move to the UK and the Holidays upon us, things here will be a bit slower than usual. No need to worry, there are posts set for many weeks to come so it won't be a ghost town here, but a tad slower until after the first of the year. With packing here, the long flight and travel day, and my mother in law recovering from surgery right when we arrive... and Christmas, New Years and all that comes with it I didn't want to have to worry about things here online during such a busy time for us. We here at A Life Bound By Books hope that you'll understand and will keep an eye out here for some pretty amazing things we have coming up on the blog in the New Year! I know I can't wait! Tons of big things happening, you don't want to miss out!